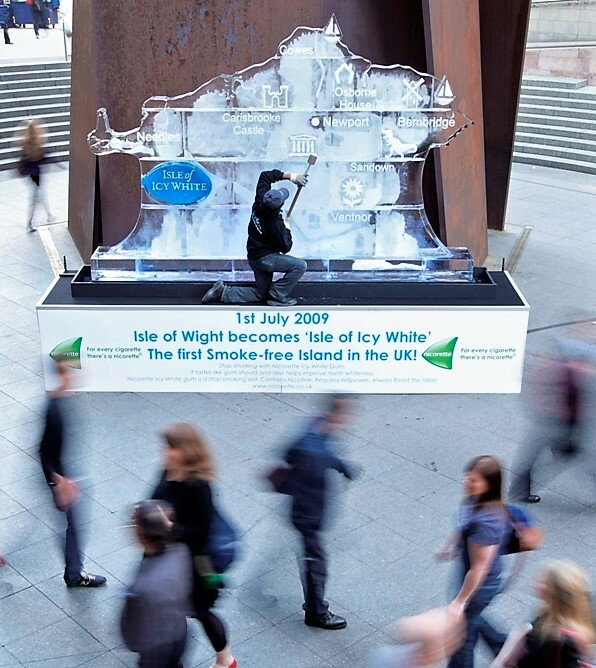 A 4m x 3m (2.5 tonne) ice sculpture of the Isle of Wight was installed outside Liverpool Street Station on a chilly February morning – to promote it becoming the first island in the world to go ‘smoke free’. 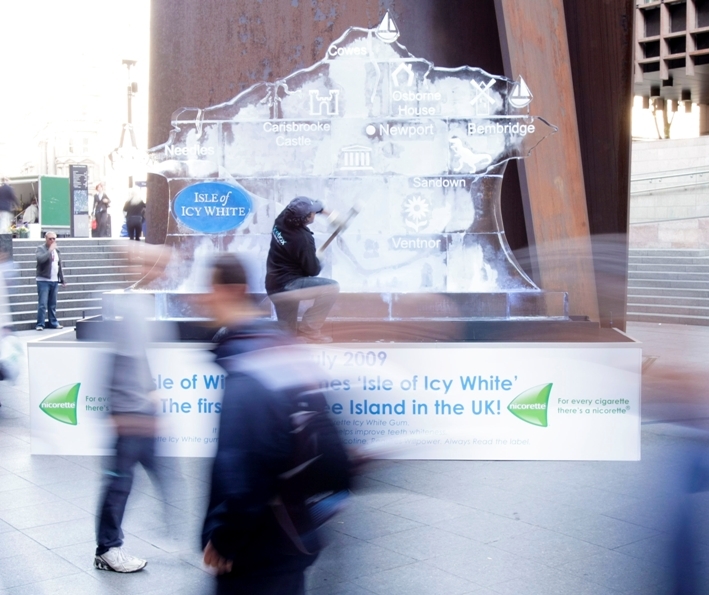 Weber Shandwick working closely with Icebox, developed the concept to launch a new nicotine replacement gum – naming the impressive creation the ‘Isle of Icy White’. 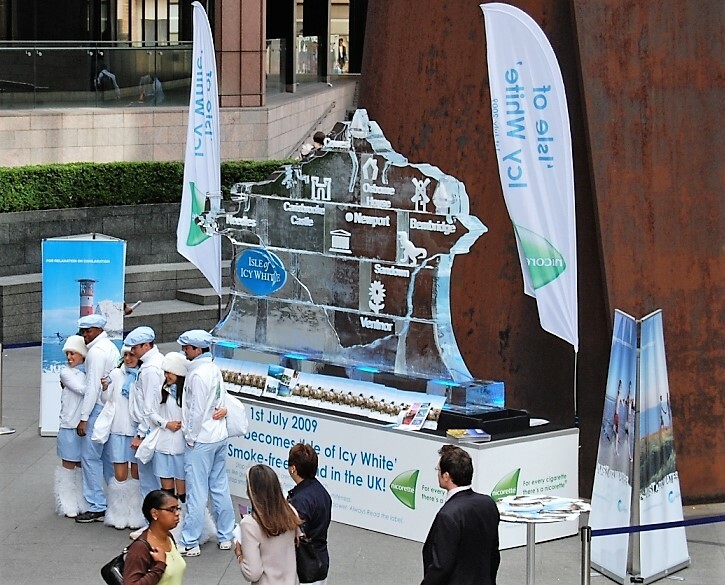 Installed overnight workers stopped in their tracks to admire the work of art, providing the Nicorette promotional teams the perfect opportunity to introduce the public to the new product. 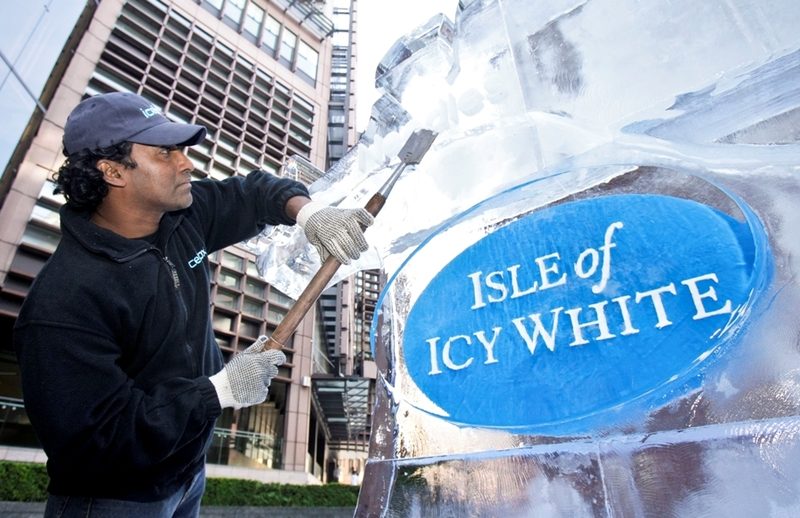 The dramatic ice feature lasted for over 12 hours, and passed by an estimated 150,000 Londoners.